Israel will deny entry to all Indonesian nationals starting June 9, according to Israeli officials including Emanuel Shahaf, vice chairman of the Israel-Indonesia Chamber of Commerce. The move comes after Indonesia began banning Israelis in response to recent conflicts in Gaza, as reported by Calcalist last week. An official at the Israeli Ministry of Foreign Affairs confirmed the details in a Wednesday message to Calcalist, speaking on condition of anonymity. 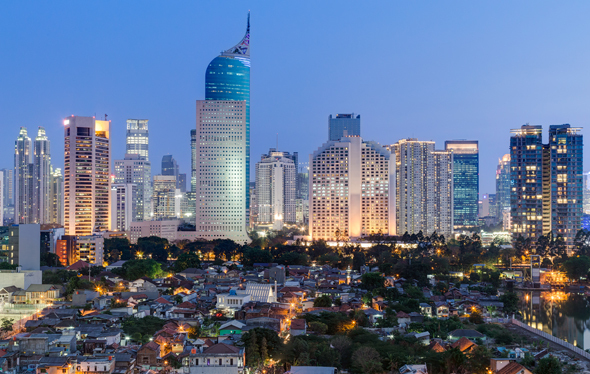 Israel and Indonesia have no official diplomatic relations but maintain economic ties. Up until recently, Israelis could visit Indonesia using temporary group tourist visas and individual business visas. The same rules apply for Indonesian visitors to Israel but starting June 9 Israel will deny all Indonesian nationals entry to the country, Mr. Shahaf said in a Wednesday interview with Calcalist. “The two countries are working together to make as much damage as possible,” he added. According to Mr. Shahaf, while only several thousand Israelis visit Indonesia each year, the number of Indonesian tourists in Israel amounts to about 40,000 yearly. On Tuesday, Israel bombed targets within the Gaza Strip after dozens of rockets and mortar bombs were fired at the country by Hamas and Islamic Jihad militants. After the aerial attacks, Palestinian Dawood Shihab, a spokesman for the Islamic Jihad, announced that a truce has been reached aided by Egyptian mediators. Israeli officials denied the truce, but according to various reports, hostilities have come to a halt since early Wednesday. The situation in Gaza began escalating in late March, as tens of thousands of Palestinians began marching towards the border to Israel, which is protected by a fence, in a series of protests dubbed the “Great March of Return.” Over 110 Palestinians were killed and thousands more injured in clashes between protesters and the Israeli military according to the Palestinian health ministry in Gaza. Earlier this month, a Hamas official claimed that of the Palestinian casualties, 50 were Hamas members, while a spokesman for the Islamic Jihad said three of the casualties were members of its military wing. In a column published last week in the Wall Street Journal, Israeli military spokesman Ronen Manelis accused Hamas of hiring civilians as “extras”, paying $14 per capita and $100 per family for attending the protests, and upping that to $500 if injuries are sustained during confrontations. The incidents have brought about international criticism against Israel with Turkey temporarily expelling the Israeli ambassador, and the UN Human Rights Council voting in favor of investigating Israeli actions against protestors. The U.S. and Australia were the only two countries to vote against the decision. The decision to ban Israeli visitors came after long negotiations between the two countries, regarding the issuance of individual tourist visas to Israelis, which were nearing their final stage in early May, Mr. Shahaf stated at the time.